As the fourth largest island in the area, Lefkas’ population is more than 20,000, and is lauded for its beauty and soft beaches. Lefkas is the epitome of traditional Greece, with olive trees, cypresses, and pines, small villages, and generous people. The area’s beauty and accessibility attracts hundreds of yacht buyers and sellers every year. The causeway between Lefkas and Greece was once an isthmus, until, in the 7th Century, it was dug into a canal by the Corinthians. This causeways is not spanned by a lifting bridge, which allows yachts and yachtsmen access to the marina and the cruising areas around the island. 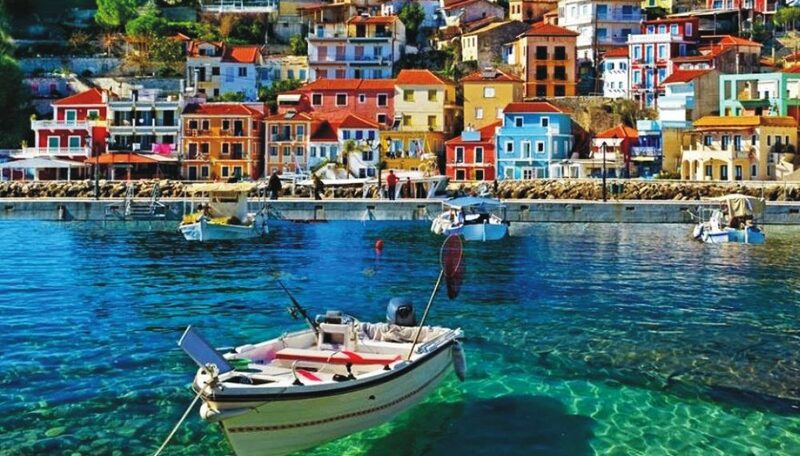 Lefkas has ten islets (Meganisi, Kalamos, Kastos, Madouri, Skorpios, Skorpidi, Sparti, Thilia, Petalou and Kythros, which are surrounded by open blue water, perfect for sailing yachts, with plenty of places to lay anchor when necessary. The town, by the same name as the island, is a yacht port and yachts and their owners are the town’s lifeblood. Because of this, there are many yachts for sale from this port, as well as many charter companies. Increasing demand on the marina brought an expansion, and with the expansion of the docking facilities, came those who both service and sell yachts, making this marina all-inclusive yacht experience. Along with docking, there are onshore storage facilities, and repair and refurbishment facilities. Because there are so many services provided in the Marina, Lefkas has become the premier yacht spot, not just for the area, but also for Greece. Whether you want to buy, sell, store, or repair your yacht, Lefkas is the best place with the best facilities. It is also the home of Williams & Smithells, a yacht brokering company, who are well-versed in the buying, selling, and upgrading of yachts. The lift-out facilities in Lefkas make it especially attractive for buyers, as well as the sheer number of boats for sale in the area. Plus, the new marina hotel is right on the water, making it a great location for any potential buyers to stay while visiting the island and searching for a suitable yacht. The marina, on the northeast side of the island, is in the perfect position to service not only the Lefkas Island, but the rest of the Ionian area. With a total capacity of 620 yachts—that’s not even to mention the 280 dry-docking facilities, the marina is home to a full range of services. All docking, whether or wet or dry, are equipped with electricity, and with private security guards, the marina is the safest place to dock. There are cranes, lifting up to 150 tons, and there are plenty of places to lay anchor in covered shelters. If you boat needs mechanical, electrical, carpentry, or sail repairs, the marina has specialists who can help you with whatever you need, including diving services to make underwater repairs and inspections. If you prefer to do your own repairs, again, there is full electricity to the dock and the surround area. Along with the dock, the marina has taverns, cafes, bars, showers, bathrooms, laundry, post office, wi-fi, gym, and even parking facilities. 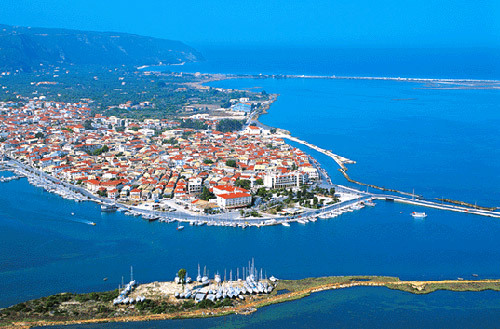 And if you can’t find what you need in the marina, the town of Lefkas is only a short walk.